We provide free local delivery. For online orders – Click on the Here or on the link at the top right. 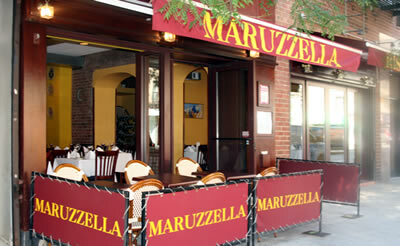 E 68th to E 86th Street, East River to Fifth Ave.
One of the best places to sound the siren call of Italian cooking. An inviting stop for a wonderfully refined pasta. Recommended: spaghetti al pomodoro e basilica is tomatoey perfection; cheese and spinach-stuffed ravioli. The right combination…dependable, often memorable…quaint…neighborhood favorite…personal attention…reasonable prices”. Soak up the serenity of the intimate, spare space, with its bold still lifes on peach walls. Savor hearty pasta dishes such as homemade linguine tossed with artichokes and shrimp in a light tomato sauce. And linger over fine Northern Italian preparations like tender calamari fritti, served with mildly spicy dipping sauce, or sautéed sea bass in a cherry-tomato sauce.